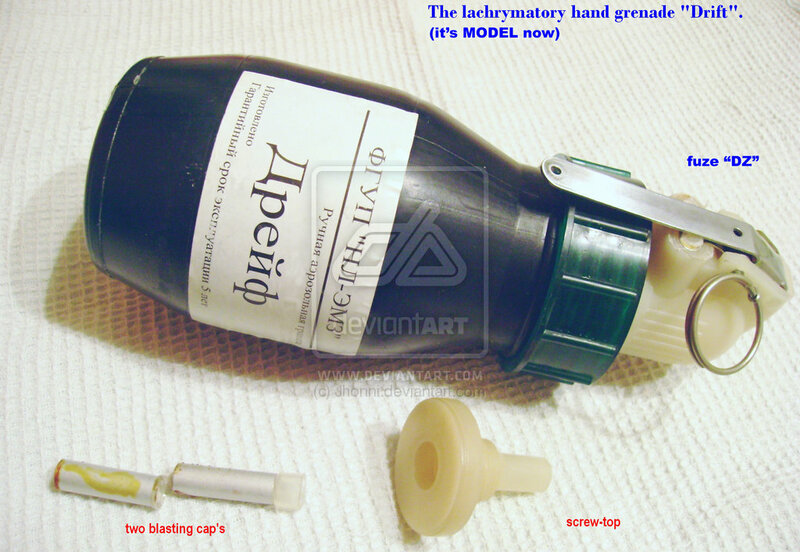 This is a modern aerosol handgrenade that was used by the Russian Police. It has been taken out of production now as it was too big and heavy to use. The body of the grenade was made from plastic. The grenade had a two blasting caps to ensure the proper spreading of the crystalline tear-gas mixture.